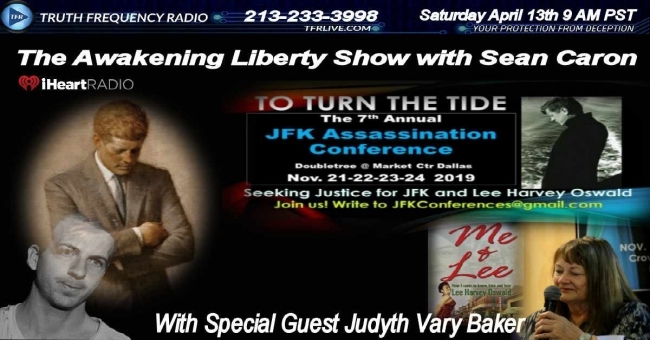 Judyth Vary Baker joined us today to revisit the JFK assassination, the plot, the players, and the conspiracy. Judyth’s story, which you likely have not heard before will amaze you! She has courageously told her story in her book Me & Lee: How I Came to Know, Love and Lose Lee Harvey Oswald. She was there and she knew the players well! Her story is certainly full of clandestine intrigue and cloak and dagger espionage. How did the plot to kill Castro with a bio weapon culminate in the very public murder of John F Kennedy? Was Oswald a deep cover agent? Did Lee try and save the President? Was Jack Ruby murdered with the same bio-weapon that was developed to kill Castro? All of this and more in a great interview! Much love to all and God Bless!